Simplify your retail business with Vend POS and QuickBooks Online. Vend point of sale software powers 20,000+ stores. QuickBooks is the #1 accounting software for small businesses. Already a Vend customer? Sign into your store. QuickBooks Online integration with Vend is currently only available to customers in the USA. For more details on how to set up and use Vend & QuickBooks online visit support.vendhq.com. Vend and Quickbooks Online are simple to set up, and even simpler to use. Manage inventory, customers and cash flow easily from the start. Vend automatically pushes your daily register closures to QuickBooks Online, so you can analyze sales by product type and cost of goods sold. Vend and QuickBooks Online work together in the cloud, so you can track your business performance from any device, anywhere. Where to find the Vend team in 2015. Vend loves the ProAdvisor community – look out for the friendly team in green at Scaling New Heights June 21-24 and of course the 2nd ever QuickBooks Connect, later on in October. 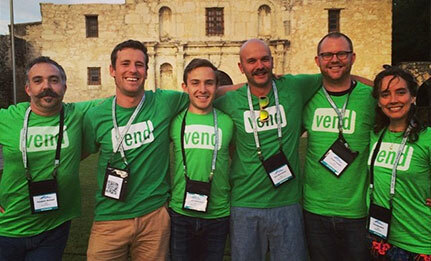 Learn more about becoming a Vend Advisor at vendhq.com/advisors. Vend, the easy way to get smart about your business. Retail is demanding. Vend makes it easy for you to stay ahead of the competition. Get to know your best customers and grow repeat business with a customizable loyalty program. Get snapshots of your sales, products and customers across all your outlets. Vend is a web-based app, and works with Mac, iOS and PC. 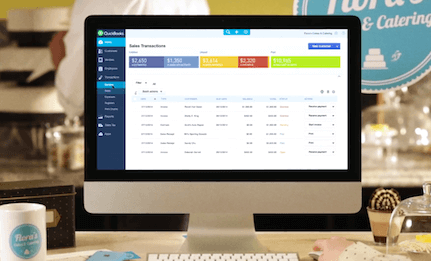 Welcome to the next generation of QuickBooks. Get more done throughout your day with the next generation of QuickBooks, the world's number one accounting software for small businesses. It takes only minutes to get started, and everything is automatically tailored to your type of business. If you’re coming from an older version of QuickBooks, simply upload your company file. Have the same information on your computer, iPad, iPhone or Android 1 so you can stay productive on whichever device you use throughout your day. Learn more about QuickBooks Online. QB ProAdvisor? You'll love Vend's Advisor program. Vend's Advisor program is designed for busy accountants and bookkeepers who want to provide their retail clients with the best solutions and services without diverting time and resources into implementation. Refer your retail clients to Vend, earn commission, and save yourself and your clients time and money every day. Learn more about Vend's Advisor program.